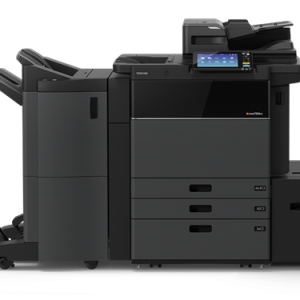 The Toshiba e-STUDIO 4508LP brings small and medium workgroups the efficiency of hybrid printing technology. 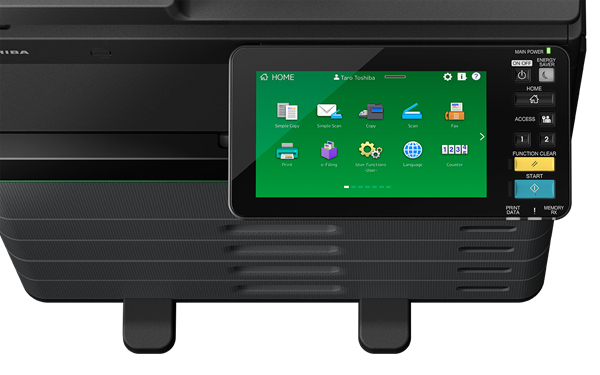 The world’s first series of printers to offer regular permanent printing as well as reusable, erasable printing in one device. Not only is it reliable, it also produces high-quality type and images. The same power and performance enjoyed by larger businesses is now available for smaller companies. Designed for businesses that want to combine environmentally friendly with economy and efficiency. Businesses have an increasing need to be able to have access to their documents when and where they want. 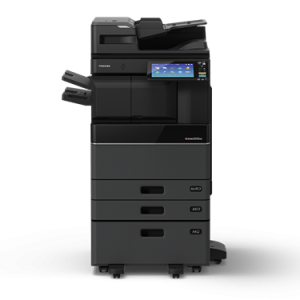 Toshiba understands this and the e-STUDIO 4508LP features Multi Station Print, Cloud Printing and Mobile Printing to accommodate businesses with unique needs. 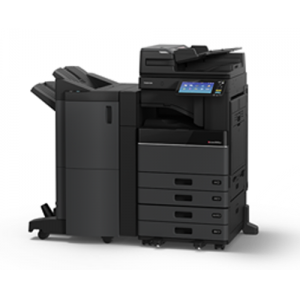 The hybrid range of MFPs include Toshiba’s innovative e-BRIDGE technology to help seamlessly integrate into existing workplaces. 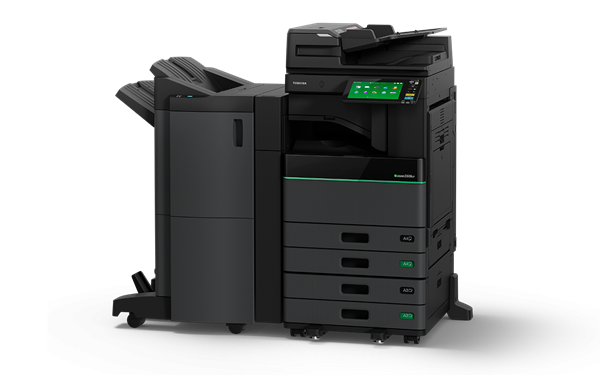 Toshiba believes in making good technology that is easy to use and the range of hybrid MFPs are no different, providing the reliability Toshiba is known for. Toshiba’s Hybrid MFP comes with a unique feature: paper can be reused thanks to the erasable blue toner, which has a positive impact on the environment. The erasing can be done either via the Hybrid MFP or the optional paper reusing device, the e-STUDIO RD 301. For temporary documents the erasable blue toner allows a sheet of paper to be reused up to 5 times, saving up to 80% paper waste. 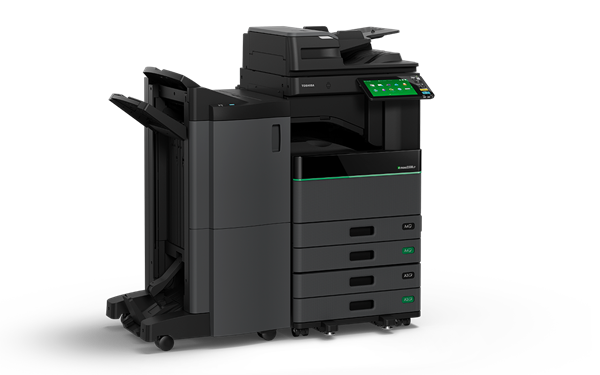 The innovative hybrid range of MFPs offer up to an impressive 3600 x 1200 DPI resolution (BW/ with smoothing) and high-speed, large capacity scanning. With the optional 300 sheet Dual Scan Document Feeder perform high volume scan jobs in a flash with up to 240 ipm. For less scan-intensive businesses a conventional reversing automatic feeder is available with speeds up to 73 ipm. First copy out time clocks in at 3.6 second added with print around features means no more bottlenecks as other print jobs can go around one job that’s held up due to requiring a specific paper size or type. It gets even better with a tilting, touch swipe 22.9 cm (9”) colour panel that is as simple as using a tablet or smartphone. Now you can find whatever you need by just swiping your finger. Plus, you can customise it to suit your individual needs. 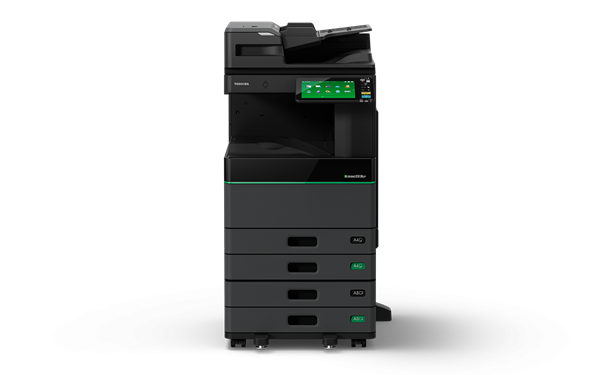 The Toshiba e-STUDIO 4508LP multifunction printer provides top level security by using a self-encrypting HDD and is compliant with IEEE 2600.2 and meets the EAL2+ Common Criteria requirements. For added security, IPSec is available to encrypt data sent to and from the MFP. Toshiba has an ongoing commitment to environmentally responsible office solutions. 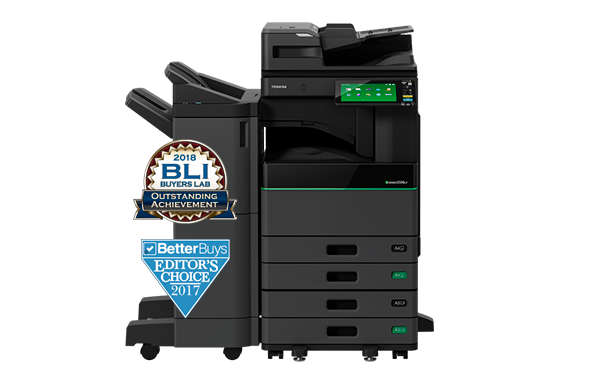 The hybrid range of MFPs are possibly their most eco-friendly models to date, with reusable printing cutting up to 80% office paper waste and low-low Sleep Modes. 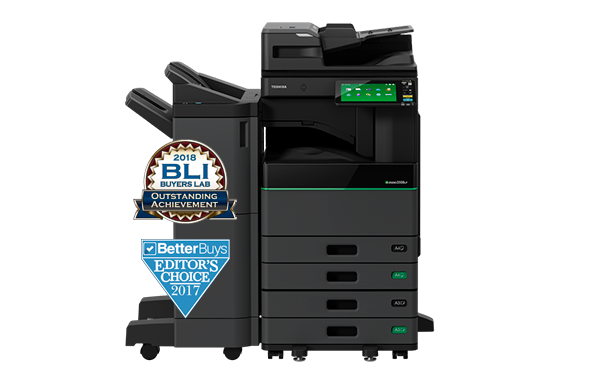 The e-STUDIO 4508LP meets the latest, most stringent environmental standards to help your business minimise its footprint.